Scottish champion Sam Locke, pictured, from Stonehaven faces an uphill task if he is to survive the second-round cut in the English men's open amateur stroke-play championship for the Brabazon Trophy at Frilford Heath Golf Club, Oxfordshire.Only the leading 45 and ties at the end of play on Saturday will go forward to play the final two rounds and Locke is T94 after a disappointing round of 75 - nine shots behind the trio sharing the lead on six-under 66: Jeong Weon Ko (France) and Englishmen Nick Poppleton (Wath) and Jay Beisser (Basildon). The best placed Scot is Stuart Easton from Irvine with a 68 for a share of eighth place overnight. Next comes Darren Howie (Peebles) T14 on 69. 66 J W Ko (Fra), N Poppleton (Wath), J Beisser (Basildon). 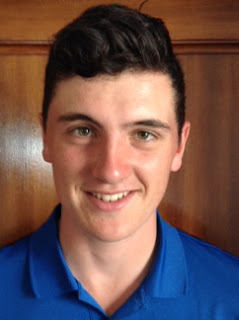 72 Euan McIntosh (Turnhouse), Kieran Cantley (Liberton) (T43).